The Art School is committed to an intensive and individual approach to teaching and this course is rare in offering generous teaching and tutorial support from Monday to Friday with an exceptionally high ratio of staff to students. You will find that there are always tutors on site offering advice and running specialist workshops. You can also be sure of your own designated studio space in the 1937 industrial building adjacent to the Art School’s historic campus. The Art School could hardly be better situated: by Tube it’s just 10 minutes to the National Gallery and 15–20 minutes to the contemporary art scene of Old Street and Shoreditch. Students of different academic backgrounds and nationalities flourish on this course. We accept around 95 students a year – a number that strikes a balance between a stimulating mix of people and our individual approach, with small tutorial groups and a very high staff to student ratio. Our end-of-year Foundation show is testament not only to the imagination, creativity and commitment of our students, but also to the dedication of our team of enthusiastic and committed tutors – artists and designers in their own right (see Tutors). In addition to the department’s own technical resources, our Foundation students have access to the Art School’s shared facilities and technical support including the print studio, the wood, metal, glass, casting and ceramics workshops, the library and our dedicated Drawing studio. Working alongside BA and MA students, visiting artists and fellows in our close knit creative community – adds to the richness of your learning experience. This course will enable and challenge you to identify your creative direction. Your existing passion may be confirmed, or perhaps shift from fashion to costume design, fine art to textiles, illustration to painting. After a year of creative immersion and self-discovery, some of our Foundation students choose to continue their education at the Art School, and nearly all of the rest take their studies to the next level elsewhere – usually on their first-choice of courses. There are 9 prizes available for Foundation students at the end of the year including: The Skinners Company Vargas Eyres award for an outstanding Foundation Design Student; The Andrew Simpson Award for Studentship and The Principal’s award for outstanding work in the Foundation Show. 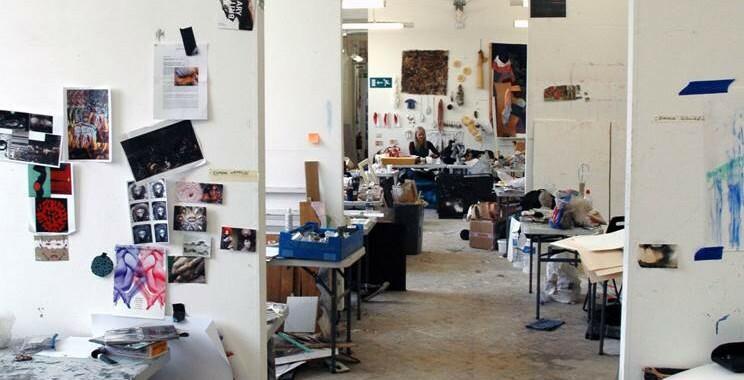 For one student progressing to undergraduate study within The City & Guilds of London Art School there is a Scholarship of £1,500 towards their 1st year fees. For more information about the Art School please see our 2019 Review.